Below you can view all the homes for sale in the Druid Hills subdivision located in Atlanta Georgia. Listings in Druid Hills are updated daily from data we receive from the Atlanta multiple listing service. To learn more about any of these homes or to receive custom notifications when a new property is listed for sale in Druid Hills, give us a call at 404-998-4097. Includes Master Suite On Main, In-Law Suite W/ Private Entry Or Possible 5Th Bedr, Ten Ft Ceilings, Siematic Chef'S Kitchen & Island, Great Room W/ Vaulted Ceiling & Limestone Frplc, Library W/ Frplc & Cherry-Wood Paneling, Formal Dining Room W/ Sitting Room & Frplc, Large Butler'S Pantry W/ Desk & Sink, Attached 3-Car Garage, Oak Hardwood Floors, Slate Terraces, Loggia, Unfinshd Basement For Gym, Etc., Generator, Original Owner. MLS#6532558. Atlanta Fine Homes Sothebys International. Easy Access To Decatur, Fernbank, Deepdene Park And Marta. Award-Winning School District. MLS#6535501. Ansley Atlanta Real Estate, Llc. Sold "As Is" With Right To Inspect. MLS#8562726. Keller Williams Realty. Sold "As Is" With Right To Inspect. MLS#6535961. Keller Williams Realty Intown Atl. Interior Newly Painted, Huge, Tall Attic Could Be Expanded. Sold As-Is. MLS#6534728. Real Living Capital City. Second Level Features 3 Bedrooms Each W En Suite Bath, Teen/Playroom, And Laundry Room MLS#6532512. Compass. Lovely Outdoor Living Spaces + 3 Car Garage! Fernbank Elementary! MLS#6532018. Atlanta Fine Homes Sothebys International. Lovely Outdoor Living Spaces + 3 Car Garage! MLS#8559000. 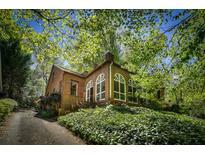 Atl.Fine Homes Sotheby'S Int..
Second Level Features Five Bedrooms, 3 Baths And Large Family Room/Playroom. MLS#6531686. Compass. Sublime Style, Fresh, Relevant & Unexpected In Your Personal Oasis-Unique Coalescence Of Urban Design Award Winner & Renowned Architect Leila Ross Wilburn; Comprehensive Renovation Rarely Available In Prestigious Druid Hills On Private Acre Estate, Grand Architecture Melded W/21St Century Living Offers Desired Open Concept W/Kitchen+Casual Living & Dining, Master Retreat On Main, Upstairs Secondary Bedrooms/Baths & Loft; Finished Basement W/Ensuite Bedroom, Family Room, Etc; Carriage House Provides Bedroom/Bath Or Other Special Needs; Sweeping Back Yard Rife W/Potential MLS#6530986. Atlanta Fine Homes Sothebys International. Equal Parts Grand, Comfortable, Spacious And Elegant, From The Glorious 1915 Architecture To Today'S Lifestyle Family Room/Kitchen Addition, From The Master Suite Addition With 3 More Spacious Bedrooms On Upstairs Level To The Expansive Acre Plus Grounds, There Is Accommodation For All Your Needs; Gorgeous Entertaining Spaces Include Foyer, Living Room, Dining Room, Study & Sunroom; Personal Spaces Include Kitchen Open To Family Room, Casual Dining, Butler'S Pantry, Laundry Room, Walkout Deck, Pool & Huge Back Yard; Terrace Level Includes Bed/Bath/Kitchen/Den; 3 Car Garage MLS#6531167. Atlanta Fine Homes Sothebys International. 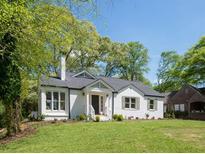 Walk To Paideia/Druid Hills Golf Club/Decatur MLS#6530206. Dorsey Alston Realtors. Income Generating Tenant In Place Through 2019. Security Gates + Extra Long Drive MLS#6525551. Palmerhouse Properties. Come And Enjoy The Druid Hills Civic Association'S Annual Tour Of Homes April 12-14. MLS#6529606. Compass. Next To Emory, Cdc, V-Highland & Morningside. MLS#8554978. Atl.Fine Homes Sotheby'S Int.. Almost Half Acre Lot Provides Ability For New Construction In Historic Neighborhood - Highly Desired Yet Rarely Available; Build Among Multi-Million Dollar Homes; Verdant, Park-Like Location Close To Emory Village, Druid Hills Golf Club, Olmsted Historic Park, Lullwater Park, Schools, Restaurants, Shops, Emory Univ, Cdc, Vahighland, Ponce Market, Decatur, 15 Minutes To Airport; Peavine Creek Runs Along Back Line; Architectural Plans Subject To Historic Committee Approval MLS#6527607. Atlanta Fine Homes Sothebys International. Ready For Your Renovation To Return It To The Jewel Of A Home It Is Meant To Be. MLS#6528637. Harry Norman Realtors. Vast Level Backyard W/ Room For Pool. 3-Car Garage. MLS#6527461. Atlanta Fine Homes Sothebys International. Attached 2-Car Garage With Storage Shelving And Work Bench. MLS#8553352. Keller Williams Realty. Remarkably Vast Lawn W/ Room For Pool And Tennis. MLS#6526179. Atlanta Fine Homes Sothebys International. Three Large Secondary Bedrooms Offer Hardwood Floors&Ample Closet Space.Possible 5Th Bedroom Offers Ensuite Bathroom!This Home Is An Ideal Candidate For Easy Cosmetic Updates,For A Major Addition Or To Enjoy As It Is!Awesome Location Near Emory,Cdc, Va Highlands&Morningside! MLS#6526347. Re/Max Around Atlanta Realty. Attached 2-Car Garage With Storage Shelving And Work Bench. MLS#6525675. Keller Williams Realty Metro Atl. Fabulous Location And Charming Architecture, This Classic 1926 Tudor Influenced Bungalow Has Been In The Same Family Since It Was Built, Still Retaining Its Original Details Including Spacious Sun-Filled Rooms, Diamond Pattern Windows, French Doors, Hardwood Floors, Woodwork And Hardware On One-Third Acre Flat Walk-Out Lot; One Level Living Includes Generous Living Room, Sun Room, Gracious Dining Room, Kitchen With Breakfast Nook & Bay Window View Of Inviting Back Yard, Master With Private Bath & 2 Additional Bedrooms & 2nd Full Bath; Entry Level Price For Prized Neighborhood MLS#6525548. Atlanta Fine Homes Sothebys International. Easy Access To Paideia, Spark, And Emory. This Home Is Truly Special! MLS#6523593. Dorsey Alston Realtors. Special Features Like Lofty High Ceilings, A Distinctive Family Room Fireplace, Solid Wood Doors, Graceful Arches, And Polished Heart Of Pine Floors Speak To An Excellence In Craftsmanship That Translates To Luxury Living. MLS#6524190. Compass.